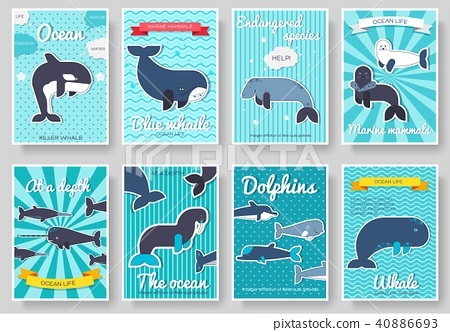 Set of Sea mammals pattern concept. Art animal, magazine, book, poster, abstract, banners, element. Vector fish in ocean life package greeting card or invitation brochure design.